Whether you are finally rewarding yourself with your very first Porsche, or you have been driving Porsche vehicles for decades, Porsche Financial Services has a Program to save you money on your next Porsche purchase or lease. For existing Porsche lease clients, PFS is willing to waive up to 12 of your remaining lease payments to get you into your next Porsche even sooner than you may have imagined. For clients who are considering your very first Porsche, you are eligible to receive a “Welcome to Porsche” credit. 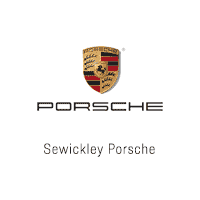 So it really doesn’t matter if you are a current Porsche owner or haven’t ever been behind the wheel of one – Sewickley Porsche has something for everyone! Lease or Finance an eligible New MY19 718 Boxster, 718 Cayman, or MY19/MY18 Panamera through Porsche Financial Services and you are eligible to receive a “Welcome to Porsche” credit. The amount of your credit is equal to your existing competitive lease payment not to exceed $1,500. A maximum of three (3) payments can be credited to you not to exceed $4,500 in total.